Owning your own bagel shop can be a fun adventure, but a lot of research and prepping need to go into it in order for it to be successful. One of the big decisions you have to make early on is whether or not you should open your own bagel business or to join a bagel franchise. One of the biggest incentives of choosing to invest in a bagel franchise is that you will have a support structure to help you get started. This is something you don’t have when you are opening a bagel shop on your own. With a bagel franchise, the franchisor offers you training for you and your staff and will help you find your location and prepare for your grand opening. If you are new to being a business owner, this is especially attractive. When you open a bagel shop on your own, you have to do everything from scratch including building up your brand power. That is not the case when you join a bagel franchise instead. There are a lot of popular bagel franchises like Shmagel’s Bagels who have strong brands that people immediately recognize. By choosing to go into the bagel franchise, you will benefit from sharing in the brand recognition. Although there is a definition structure and process to each bagel franchise, there are still opportunities for you to put your own personal stamp on your location. When you are researching and shopping around, make sure to ask what the rules and regulations are for each individual franchise. If some individual freedom is important to you, don’t sign on until you have the reassurances that you will have some creative control. For example, many bagel shops also offer fun and delicious sandwich options to keep customers coming back for lunch and dinner, even a midday snack. Bagels aren’t just for breakfast and there are plenty of ways to think outside the box. Also keep in mind that a bagel franchise is generally going to be more affordable than owning your own bagel business. On your own, every little cost is on your shoulders, but with a bagel franchise, you pay a reasonable fee to be able to use the resources of the parent company. Because bagel franchises are generally more affordable than opening your own bagel business, it will be a lot easier for you to buy and open multi-units which will even further secure your place in bagel industry. A lot of franchisors also prefer you to open multi-units and will offer you special incentives to help you do so. While a passion for bagels and other breakfast foods is great, there is a lot more that goes into owning a business. First, you need to make sure that you have the right skills, experience and personality for the job. Are you comfortable in a leader position? Have you owned a business before or helped manage one? Do you have any business education? Do you thrive under high stress situations and like dealing with people, both staff and customers, on a daily basis? Be honest with yourself about what kind of environment you thrive most in. Is opening a bagel shop right for you? You should always have a solid business plan for your bagel business. When developing your business plan, make sure you include a section where you lay out all the key management roles you will need in your bagel business as well as a marketing section where you will lay out the competitive advantages your bagel shop will have and detail some of what your marketing and advertising strategies will be. Another section should also flesh out all the startup costs for opening your shop. Are there certain values that are important for potential franchisor to have? Is there a viable market for this? What are your financing options for the bagel franchise? The heart and soul of your bagel business is of course delicious bagels. It is important to not rush this part of the process. Make sure you have tested your recipes thoroughly before greenlighting your business. Also always be willing to experiment with new fun creations to keep your customers from getting bored with the just plain ole bagel. Don’t let you dream of being a bagel shop owner lay dormant any longer. 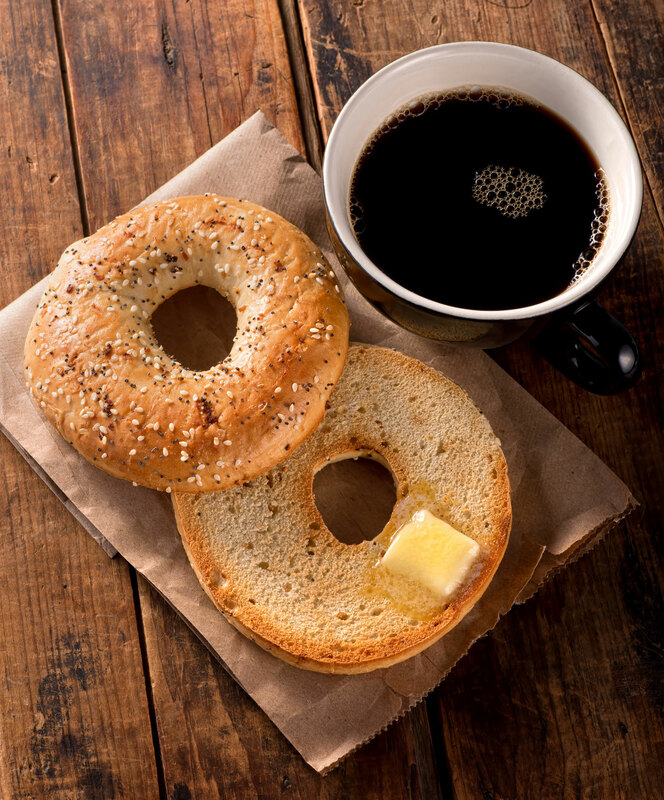 Get started on the road to starting a bagel shop today.